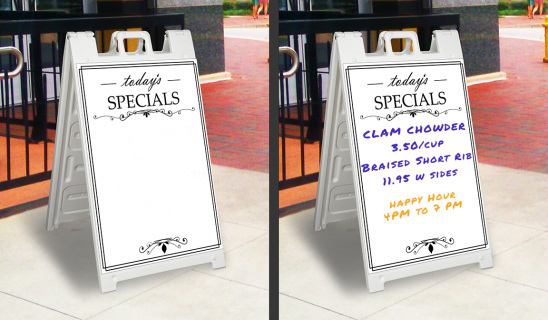 Your sidewalk advertising needs to keep up with your business. 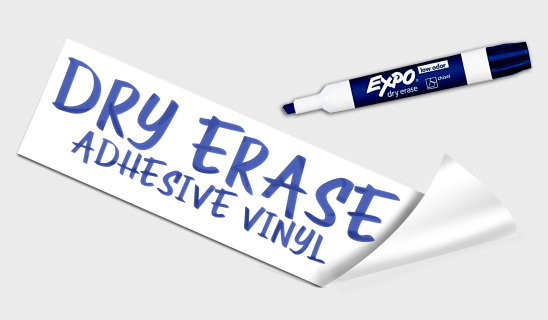 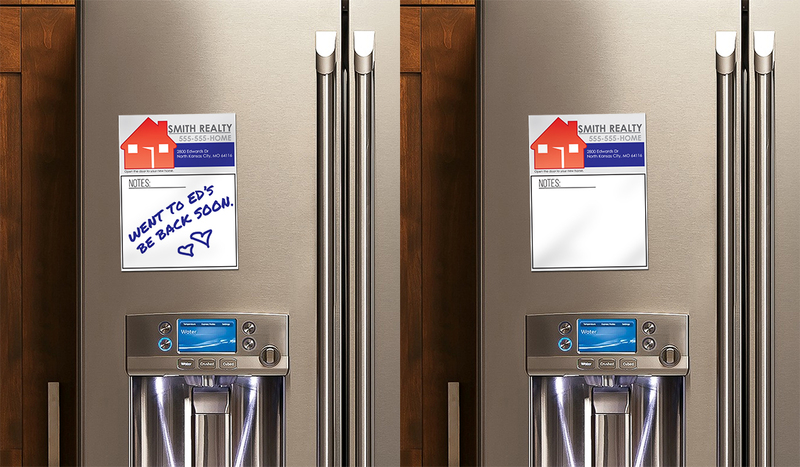 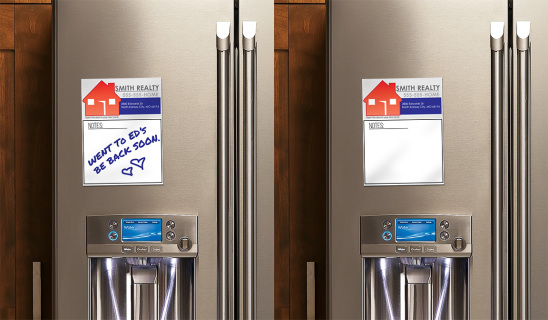 The Dry-Erase Signicade allows you to update your message at any time. Graphic prints are laminated with a waterproof and UV safe Vinyl for years of writing and erasing.